I have been playing this steel myself for the last 1 1/2 years. It is in great shape, with only a few signs of playing where.In Feburary of each year, I teach a lap steel building class at Keola Beamer's Aloha Music Camp on Kauai. 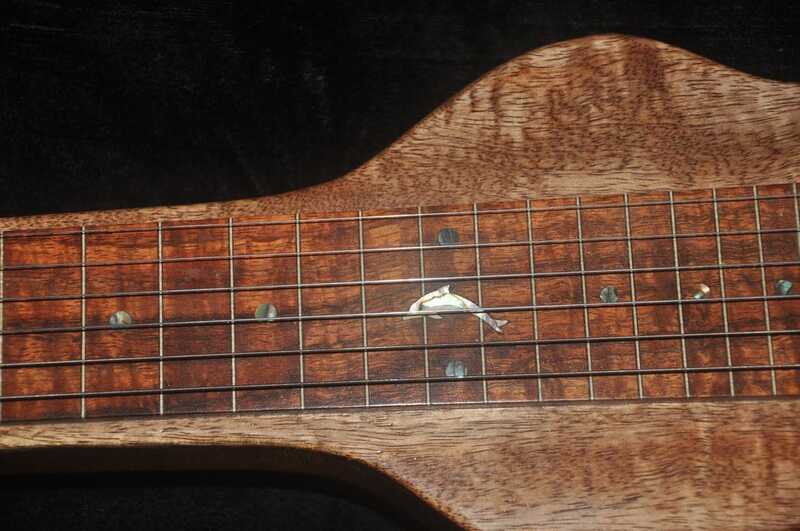 We build a basic 6 string lap steel. This is the model I made for the 2016 class. Nothing fancy, but a nice, playable steel. 21" scale length. Curly mango top laminated onto a Spanish cedar back. Curly koa head cap from Kauai koa. 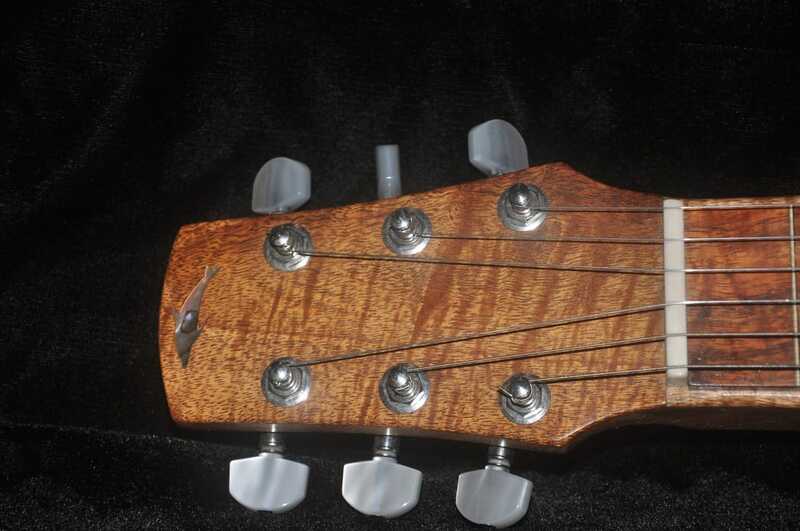 Curly koa fretboard. Milo wood covers for pickup and volume. Curly koa volume knob. Solid shell abalone inlays. All the woodwork on this guitar is handmade. Durable semi gloss finish. Golden Age pickup. Comes with a nice gigbag.